Question: I’ve been on a rabid hunt for a work portfolio/padfolio for over a year without any luck, and I wanted to ask if you knew of any good ones! 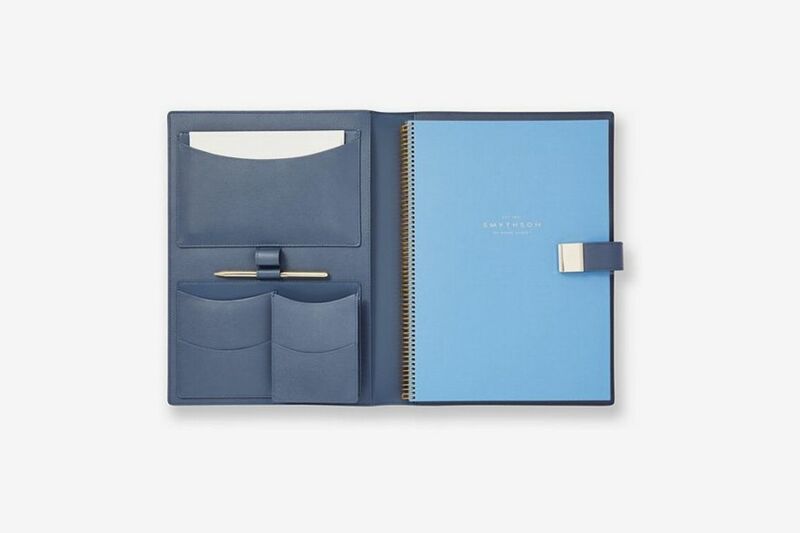 I’m not looking for a big clutch or a big wallet, which is what most work “portfolios” I find these days turn out to be, but a nice folder-like folio that I can carry to meetings, which holds a pad, business cards, pens, and the like. I’ve found some old-school ones, but they’re all like the ones dads used in the 80s! Bulky, cheap-looking, and not chic at all. 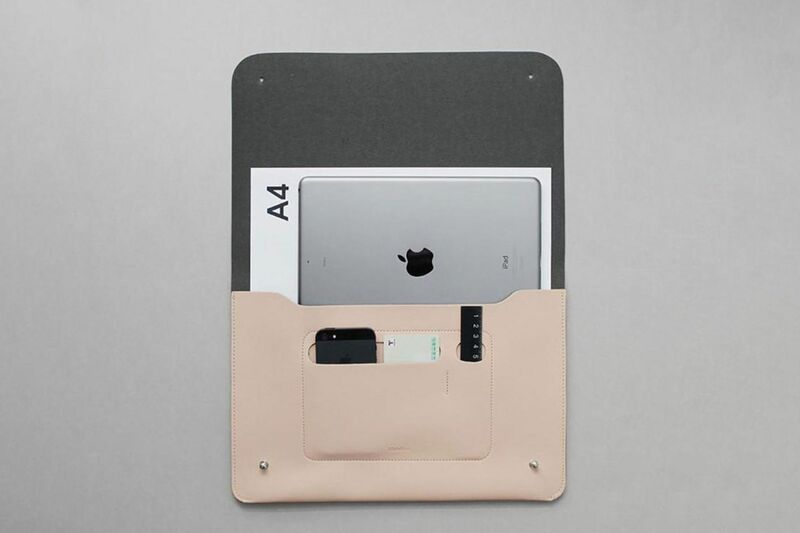 Are there any stylish work padfolios out there?? I’ve checked all the department stores and tried Goyard, L.V., Hermès — nothing. Ugh! We got another tip from graphic designer Gopika Setlur, owner of the social-impact design studio Elefint, who uses this minimalist folio from L.A. store Poketo. She likes the synthetic leather finish (“not a fan of products that use real leather”) and says it fits her Muji notebooks perfectly. “This is great for anyone who has a collection of notebooks and wants a versatile folio that is brand-agnostic. There’s space for a phone or small tablet as well, although I keep mine electronics-free. It’s really nice to be able to take all your essentials with you in one grab-and-go piece!” For what it’s worth, we’ve been eyeing this one for ourselves, and the Cut’s a fan of it, too. This one might toe the line for being too clutch-like, but we think it’s slim and understated enough that it avoids looking overly bulky or dated. 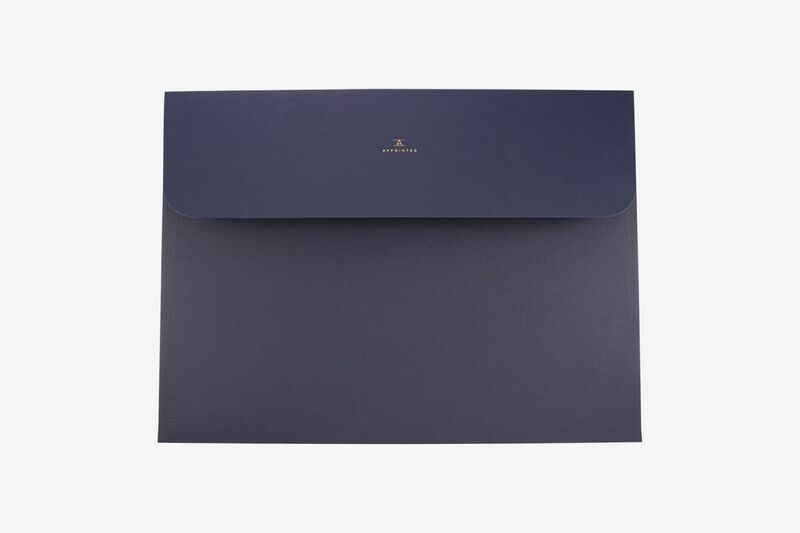 McNally Jackson’s office and stationery store, Goods for the Study, which exhibits all-around excellent taste in office things, sells these Paperthinks envelope folders, which makes us feel confident in suggesting it, too. 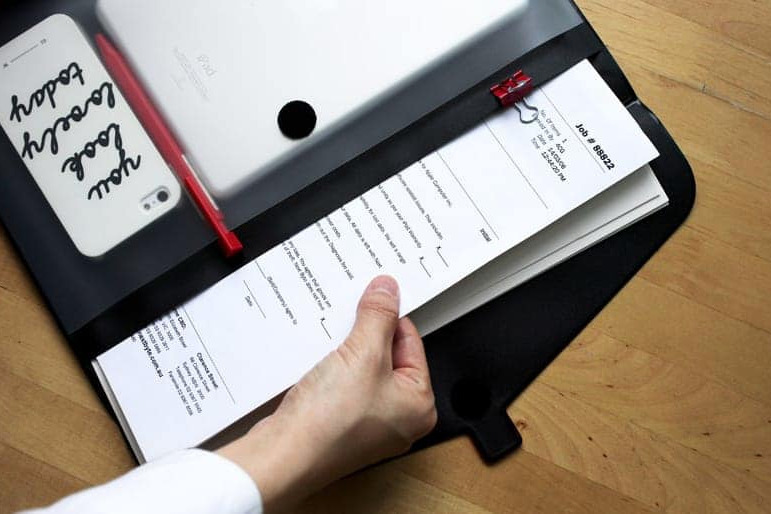 It’s made from recycled leather and can fit documents, notebooks, pens, and even the odd calculator. 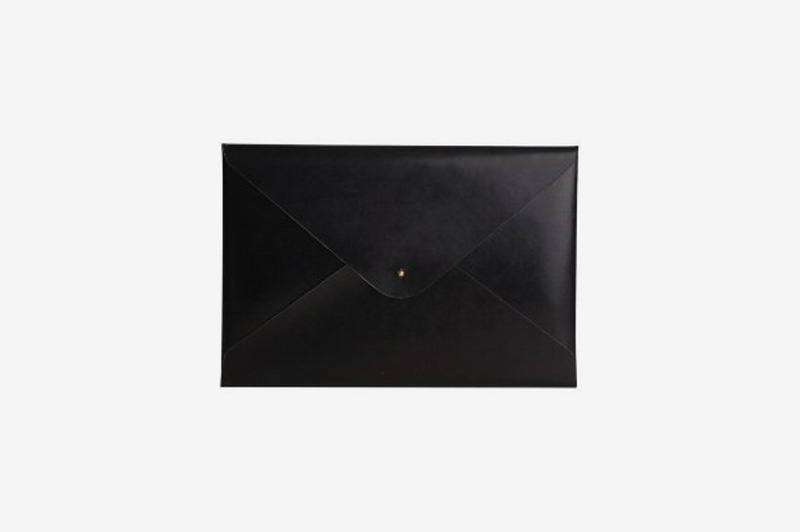 And if you want something even thinner that can holds some sparse files, business cards, and a pen or two (or even just something nice to present your resumé in that’s not a manila folder), we love the look of these sleek Appointed cases. Interior designer Stephanie Michaan first tipped us off to the Japanese brand last month — she’s a fan of their minimalist desk stationery, too. 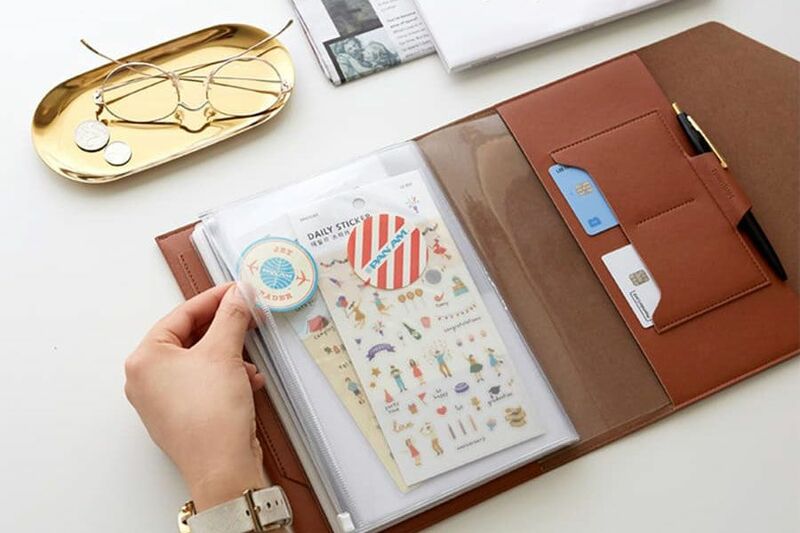 In the same price range, Alyx Cullen, the special projects manager at CW Pencil Enterprise, suggested Seattle-based stationary store MochiThings, co-founded by a husband-and-wife team whose goal was to create more “functional and cute” things. 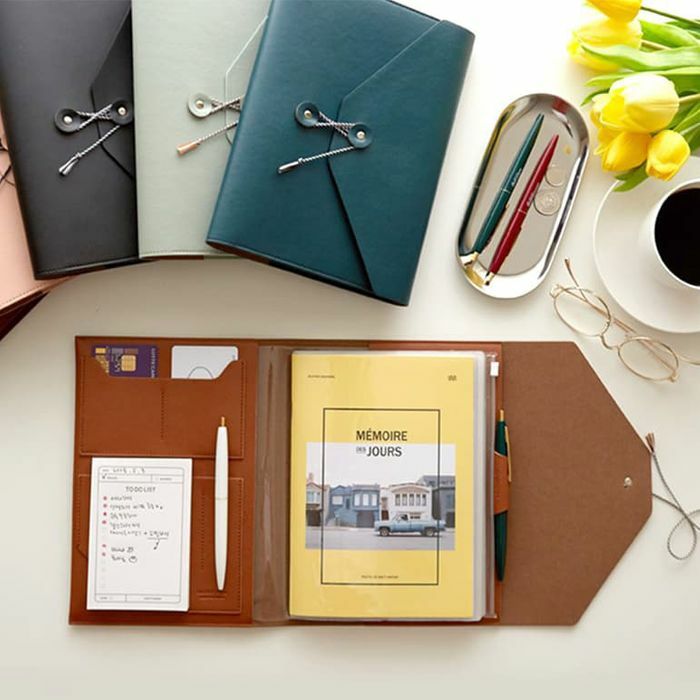 They have a range of nice work folios and pouches, but here’s one that’s described as an “organizer.” It has a leather shell with a separate section for a notebook, a dedicated pen slot, plus pouches for small notepads and business cards. The tie closure is a nice touch, too. 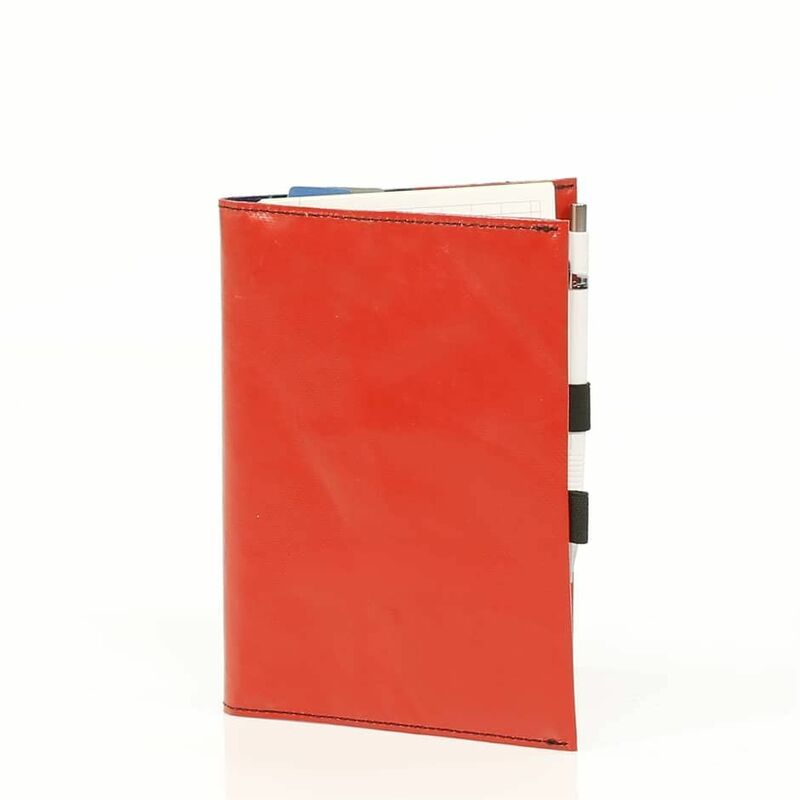 This one from MochiThings also falls in the “folder” category you’re looking for, though it might look cheaper than a leather folder like the Smythson. We do love the translucent outer compartment for holding your pens and cell phone, though, plus the interior compartment for papers and files. Designer Hamish Smyth, the co-founder of independent graphic design bookstore Standards Manual, loves the look of Swiss brand Freitag for storing files and things. All Freitag products are sourced from recycled truck tarps, which is catnip for a graphic design person like Smyth. “This is weird, but one of my favorite things about Europe is the graphics on the truck tarps. (For the enthusiasts: my favorite area is northern Italy, in the industrial zones around Milan. )” he says. “So to be able to own a piece of that to carry my stuff in is cool. Freitag does not mess around, either — these things are pretty much indestructible.” Here’s a refillable notebook with pockets for cards and notepads, plus a place to hang your pen.